A website is not simply the digital face of any business. It is a complex technology with an integrated software and design to make it function according to marketing objectives. Making it work to that end does not only entail a creative design, catchy content, eCommerce capability and clever analytics. The website requires technical upkeep and even overhaul to accommodate new or upgraded software that enhances online presence and improves workflow. Providing a whole package that gives the best web experience for both business owners and their customers is the specialty of Bridgeline Digital Inc. (Nasdaq: BLIN). 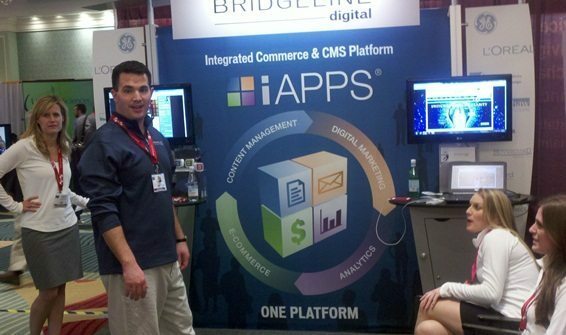 Bridgeline Digital has masterfully woven its reputation in web management solution through its proprietary iAPPS platform. The technology provides a unified Content Management, eCommerce, eMarketing, and Website Analytics service that enables clients to swiftly enhance and optimize the value of their websites cost-effectively. The powerful tool set up by Bridgeline Digital’s team of Microsoft Gold Certified interactive developers can give a business the competitive edge in the increasingly challenging marketplace. iAPPS is a corporate marketer’s essential. It empowers them to easily create, edit, and optimize persuasive web content and campaigns without relying on technical resources and complex coding. It enables automatic display of content and products based on visitor behavior attributes like browsing history, location, search terms or device type. It captures and indexes customer profiles for highly targeted, cross-channel campaigns. It even finds, manages and track social media conversations to make real-time decisions to engage and coordinate activity across teams and different business objectives. An improved service called Bridgeline Pro series is also favorable to enterprise customers because of its lower implementation cost. Ari Kahn, Bridgeline Digital president and CEO, sees the Pro series increasing margins for the company, while driving greater value to customers. Further, the company offers co-location, application monitoring, emergency response, version control, load balancing, managed firewall security, and virus protection services; and shared, dedicated, and software as a service hosting services. Thousands of websites and web stores are powered by iAPPS affirming the service’s acceptance by small- and medium-sized organizations as well as Fortune 1000 companies. Among Bridgeline Digital’s clients are financial services, franchises/multi-unit organizations, retail brand names, health services and life sciences, technology, credit unions and regional banks, and associations and foundations. The patronage has strongly positioned Bridgeline Digital in the $3 billion web content management market and $1.3 billion marketing automation market. Second quarter revenue was $4.2 million compared to $4.8 million in the second quarter of last year, but Bridgeline Digital generated over $1 million more of gross profit. Gross profit improved from $1.7 million in the second quarter of last year to $2.2 million in the second quarter of this year. Gross margin for the second quarter was 53 percent compared to 36 percent in the second quarter of last year. Subscription and license revenue increased 12 percent to $1.5 million over Q2 2015. License and hosting revenue were 44 percent of total revenue compared to 36 percent in the second quarter of fiscal 2015. Licensing and hosting revenue combined now make up about 44 percent of total revenue compared to about 36 percent of the total revenue in the second quarter of last year. Recurring revenue from SaaS licenses, annual maintenance on perpetual license and hosting increased 13 percent to $1.8 million in the second quarter compared to $1.6 million in the second quarter of last year. Service revenue decreased by approximately $670,000 from the second quarter of last year, but the cost of providing that service revenue decreased by almost $1.1 million. Operating expenses were $2.7 million for the second quarter of 2016, down 24 percent from $3.6 million in the second quarter of last year. Bridgeline Digital will issue common stocks to convert up to $6 million of outstanding debt to equity and raise up to $2 million in working capital to further invest in business development that should drive stronger revenues and grow market share, according to Kahn. Kahn has observed that competition in the web solution market is scattered and there is no market leader. He sees that as an opportunity for Bridgeline Digital to expand its presence and take the leadership role.